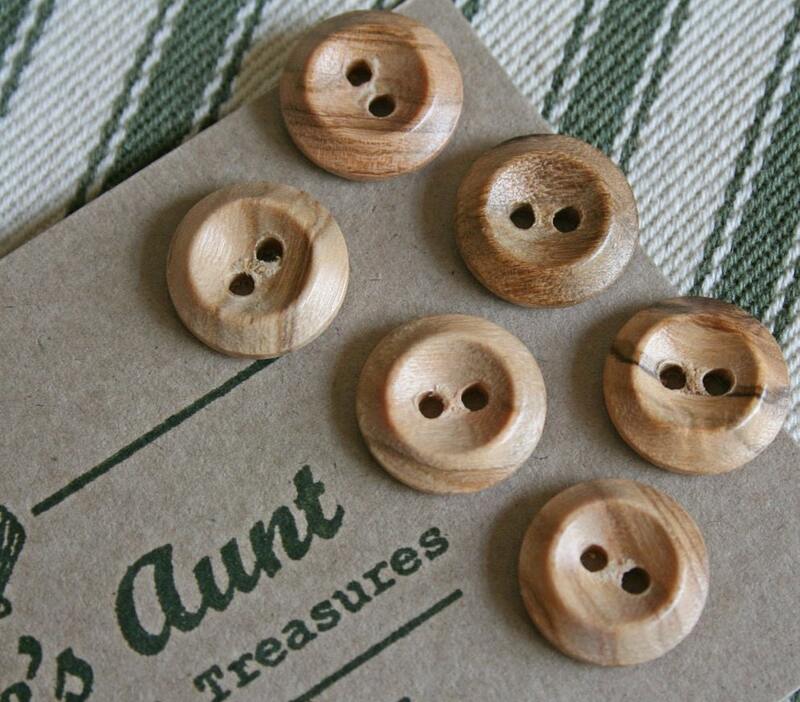 Vintage wooden buttons with a plain shiny finish and two holes, available in three sizes. These classic buttons are some of the remainder of the stock I accumulated during the 1990s when I was running my vintage-style clothing business. They would be ideal for trimming any of our bags, or on clothing. 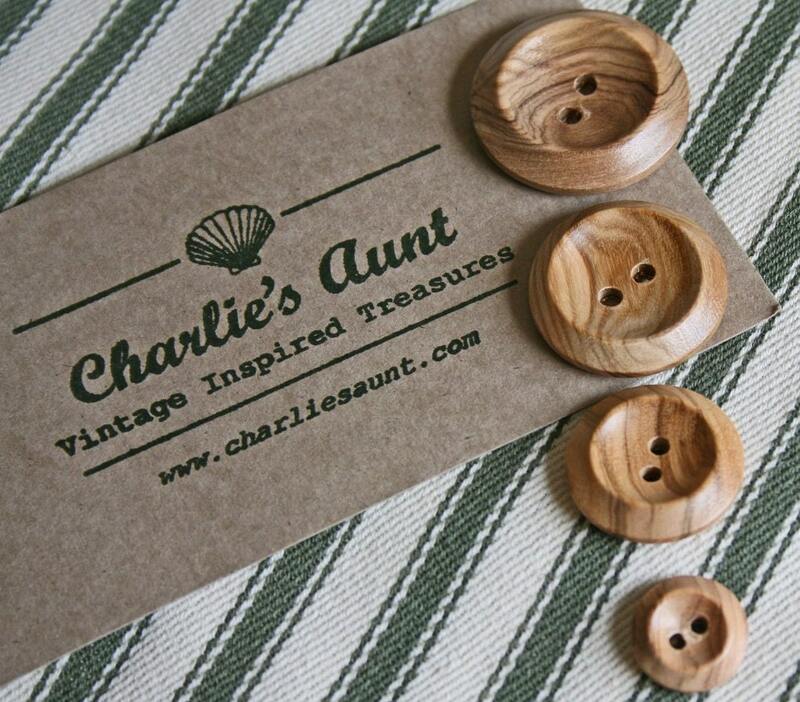 Your buttons will arrive in a tiny brown Charlie's Aunt envelope. If they are a gift, please specify and we can add a ribbon bow. 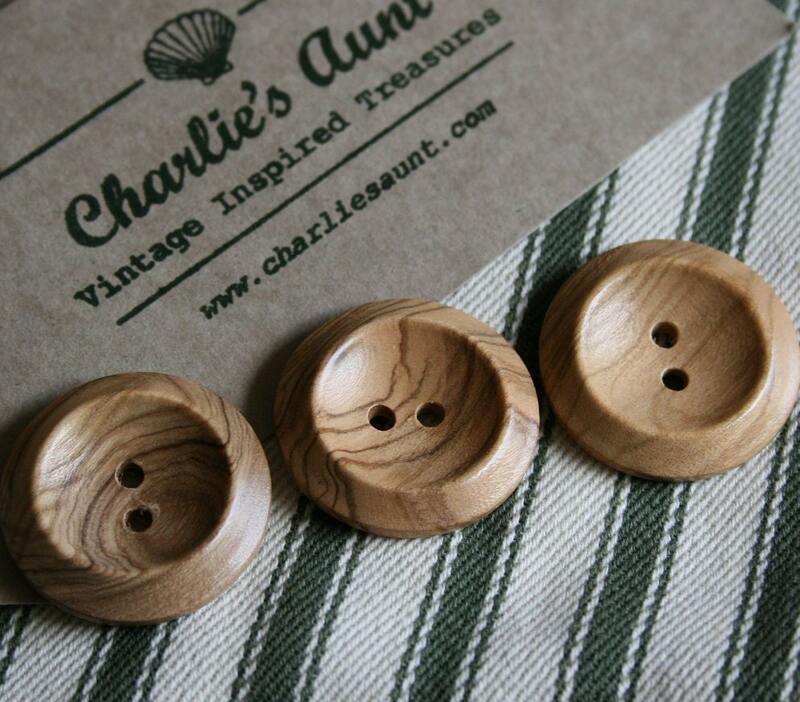 If you are not entirely happy with your buttons, they can be returned within 14 days of purchase as long as they are in perfect condition. In the unlikely event that there is something wrong with the buttons, then of course you can send them back for a full refund or replacement. Please note that this listing is for set of buttons that will be posted to you at the address provided by Etsy unless otherwise stated. After I receive payment, your buttons will be posted within 48hrs. 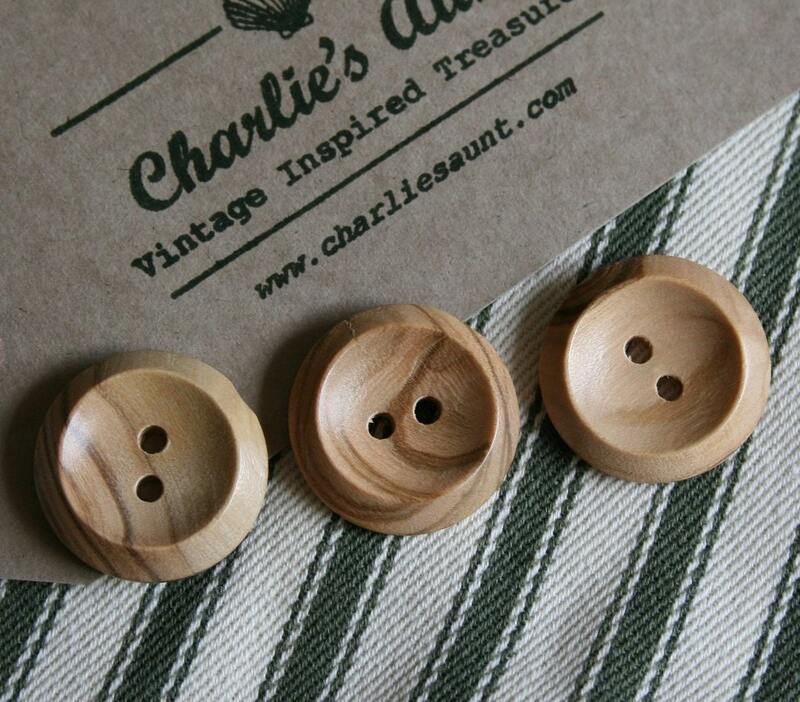 All buttons are sent via first-class mail from the UK. Insurance and/or alternative shipping methods are available on request but at extra cost.